If you’ve been out of the vinyl scene for several years or you’re a new convert from digital, you may not be familiar with Benz cartridges. In the ’80’s, Ernst Benz utilized his knowledge and specialized manufacturing skills in developing a series of extremely high quality moving-coil cartridges. 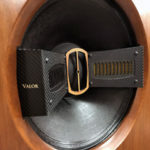 They have become a staple among music-loving audiophiles everywhere. Ernst Benz was an engineer for Cal Tech in the sixties, and then worked in an industrial jewel company in Switzerland manufacturing timepieces and industrial jewels, as well as sapphire phonograph needles. He formed his own company in the early seventies, with the desire to produce a superior diamond phonograph stylus. To further facilitate this, he developed a high temperature vacuum furnace for bonding diamond to sapphire (for which he was awarded a patent). Throughout the seventies, Benz Micro became one of the largest suppliers of diamond styli in the world, providing support for such companies as Ortofon, Philips, Pickering, ADC, Audio Technica, and Empire (which was later acquired by Benz). The introduction of the Benz Micro MC-3 in 1985 was pivotal for the company, as this cartridge was immediately recognized as one of the finest cartridges of its time. Benz then focused his energies on resonance control, the result being the Bruyere-wood bodied Benz Reference, the company’s flagship model, introduced in 1990. Further investigation into non-ferrous moving-coil formers lead to the design of the Benz Ruby, a design with a resolution and tonal richness and musicality that’s rarely been equaled. Following this success, a series of lower-cost, wooden-bodied moving-coil cartridges were created. The Benz Glider was introduced in the mid nineties. Many considered it ground-breaking in terms of performance for an under-$1,000 moving-coil cartridge. It soon became the benchmark standard at that price point. 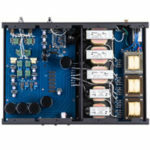 It is available in three different outputs to match the appropriate phono stage. This little history lesson brings us to the subject of the review. 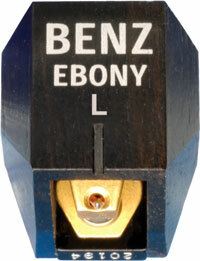 The newest Benz cartridge is the Ebony L; a low-output, moving-coil in an ebony body that retails for $3000. Setup was straightforward and easy. The Ebony L mounts like most all other cartridges and the wiring went on easily. The way the cantilever is hidden under the middle of the body made getting the geometry right a little more work, but nothing to worry about. VTA seemed to be right at just a hair under parallel, and it mates with the Clearaudio Satisfy Carbon Fiber tonearm like they were made for each other. I need to say that I was only able to hear the Benz Ebony L in my system. 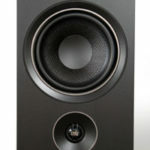 My current reference system with the WGA Ikonoklast Model 3’s is very revealing with very tight, quick bass and mid-bass. The Wavac EC-300B has the quickest and best bass I have ever heard. The Ikonoklast speakers bring no bass energy of their own into the sound. The two result in the most accurate bass I have heard. 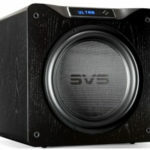 In fact, the quality and power of the bass is the first thing everybody comments on about the system. I say all this because the Benz cartridges have a reputation for being warm sounding. Personally in my system, I found the tonal balance of the Benz Ebony L very accurate, never overly warm or the least bit fat, although I cannot say how it would sound if your system tends to be overly warm already. In our May Issue, I reviewed the $5200 Decca London Reference. At the show in New York this spring, there was a lot of talk about it being the best cartridge ever made. It surely is the most transparent, detailed and fastest cartridge I have ever heard. So what would it be like to go back to the Benz Ebony L? It was different, but very musical; that’s what it was like. The first song I listened to with the new London was “Swing Low Sweet Chariot” on Joan Baez’s live album. So when I put the Ebony L back in, I went straight for Joan. From the first minute the stylus made contact with the vinyl three things were obvious. First, the Benz was not as transparent or fast as the Decca, but it was only an eyelash behind. Second, the Benz was a little more organic, and solid than the London Reference (don’t confuse that with being overly warm). Third, the record seemed quieter and the music was more relaxed. The midrange is where the heart of the music is and a cartridge has to get this right. Like a fine tube amp, this is where the Benz Ebony L is just so beautiful. Yes, the transients are fast enough and sound very realistic, but with the Ebony L, it’s more about the timber and tone of the instruments. No, it doesn’t remove as many veils as the London Reference, but no one would ever call it veiled. In fact, I don’t think you would even notice unless you had just listened to the London Reference. I want to say again with the Benz Ebony L, the midrange is just plain beautiful and it nails the tone and timbre of music. Voices just flow with this cartridge. The timing and cadence of voices is just so lifelike. I have never enjoyed vocals more, male or female. They sound pure, simple, and lifelike. The cartridge is so organic that voices never sound detached from the body, instead you feel like there is a whole person up there singing just for you. Listen to Willie Nelson or Frank Sinatra and you will be amazed at how their unique phrasing comes through so naturally with the Benz. The bass was one of the first things I noticed about the Ebony L. I had expected great bass from the Decca; it’s what I remembered most about Decca’s of old, but I didn’t expect such bass from a moving-coil. I was impressed that moving coils had made such progress since I last listened to one. The early moving coils I remembered were kind of bloated in the mid bass and did not go into the very bottom octaves. Then along came the early high-output Dynavector’s, with bass that sounded like a transistor amp: plenty of slam, but no air or decay. So I was very pleased when the Ebony L had the bass that was deep, quick, but with plenty of air and decay. The soundstage of the Benz Ebony L is first rate. It’s wide, deep, and tall without bringing attention to itself. It has wonderful scale. It can sound very small with some recordings and very expansive with others. This is the way it should be, not all performances sound huge when heard live either. Joan Baez – I talked about above how incredible the Baez live album sounded. Her voice has all the nuances that make the human voice such an incredible musical instrument. You can hear her range, her breath, her phrasing with more ease than most other cartridges. Ry Cooder, Jazz – This is one of those recordings on vinyl that I had such fond memories of, but never could find a digital version of it that was very musically involving. The bass has wonderful drive and the top-end is exceptionally beautiful with the Benz. Evita – Another wonderful musical experience on vinyl that never quite worked on redbook CDs. This is a record that really lets you hear how beautiful the Ebony L can sound. The emotion of side four when death is near comes through beautifully. As I listened, it was very hard to think about how it sounded; instead I was drawn into the performance it self. My decision to get back into vinyl stemmed from the fact that there was music I wanted that I couldn’t get CD’s of, or I couldn’t get respectable sounding CD’s of. It was not a decision based on how many audiophile LP’s I could accumulate. So there are some things I’m looking for in a vinyl playback system that’s important to me. First, I want a cartridge that will track right through things, not one that can’t handle a little wear and tear. Second, I want a vinyl playback system that doesn’t emphasize surface noise. Third, I want the vinyl system to sound like vinyl and not like digital, by that I mean alive, full of ambiance, organic, and authentic. Yes, it is expensive, but that is offset some by the fact that it works perfectly in a $1,000 arm. For me, that made it a winner in every one of the categories I was looking for in a cartridge. It pretty much tracks everything I’ve thrown at it; nothing tracks everything, but I have very seldom heard it mistrack. I don’t know how it does this without a loss of detail or air, but of all the cartridges I’ve heard, the Ebony L on the Clearaudio Ambient Turntable is the going-away winner of playing old records quietly. Most of all, the Benz Ebony L makes beautiful music happen in my listening room. The Benz/Clearaudio setup is so good some have begun to suspect me of giving up on digital. Not true, but I have to admit I sure spend a lot of time listening and buying vinyl now days. Simply put, the Benz Ebony L Phono Cartridge is a winner.